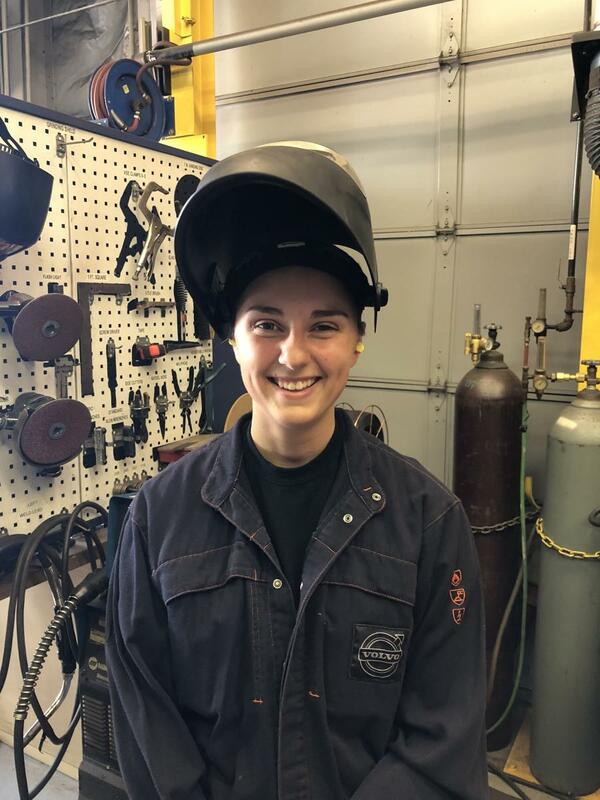 Volvo Construction Equipment (Volvo CE) celebrated the exceptional performance of its welding fabrication engineering intern, Natalie Rhoades, during the SkillsUSA 2018 Championship season. The 20-year-old student was part of an all-female welding fabrication team from the Pennsylvania College of Technology that won gold at both district and state levels in Pennsylvania. At the national event in Louisville, Ky., Rhoades and her team ranked 7th out of 23 competitors from across the United States. Rhoades' impressive achievements result from her outstanding talent, but also discipline, determination and hard work. She first became interested in welding during her high school's woodshop classes and began to spend long hours practicing in her college's welding lab after classes ended. She quickly realized that welding skills are not the only requirement for success — she also would have to be persistent in an industry where female welders are still rare. 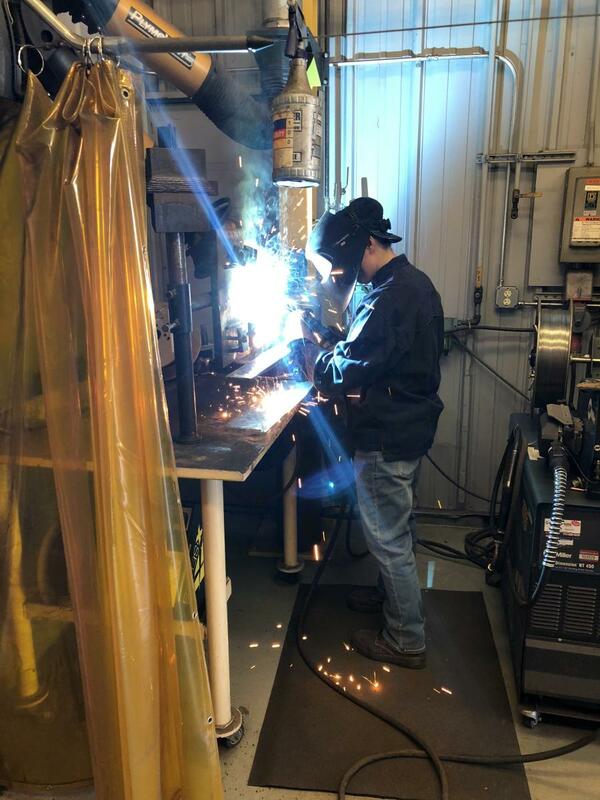 “I saw the opportunities that welding could offer to me in the industry and I figured this was something I would do well in. So I endured all the challenges and focused on getting better. I've been welding for about two years now and I am really happy with my choice,” Rhoades said. Volvo CE has a long history of investing in programs that encourage youth to pursue careers in manufacturing and engineering. As an official partner with SkillsUSA, a national organization that develops technical and leadership abilities, Volvo is helping tackle the current skills gap. According to SkillsUSA Executive Director Timothy Lawrence, millions of new skilled trade workers will be needed by 2020, and the lack of qualified employees is affecting companies' ability to implement new technologies and increase productivity. “It's fantastic to have such talented and dedicated young professionals as Natalie launching their careers with Volvo CE, and we want to congratulate her and her team for their performance,” said Gustavo Casagrandi, vice president of Shippensburg operations at Volvo CE. “We believe that supporting young talent will help benefit the entire construction equipment industry and we are happy to play any part we can in helping young people pursue a career in the manufacturing fields.